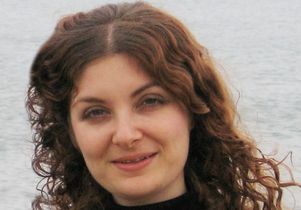 Smadar Naoz, assistant professor in the department of physics and astronomy. Her research has explained the surprising observations of many hot Jupiters with orbits that are eccentric or inclined relative to the equator of their host star. Naoz provided the first complete and accurate treatment of the dynamics of such a system, the citation noted. Noaz is interested in a broad range of topics in theoretical astrophysics, including cosmology and extrasolar planets. as well as the theoretical challenges and problems in the dynamics of our solar and extra-solar planetary systems. Her faculty colleague, professor Andrea Ghez, was a 1994 recipient of the Annie Jump Cannon Award. For more information, visit Naoz's webpage.